McCall's Candles include labels with reproductions of hand-painted designs by artist Dee McCall that add detail and charm. McCall's Candles wicks are metal cored, but they are lead-free. McCall's Candles have a rustic metal lid embossed with the McCall's Country Canning logo. This candle is also unique because of it distressed metal handle, which attaches securely to a distressed metal band around the neck of the jar. Approximate burn time 120 to 160 hours. 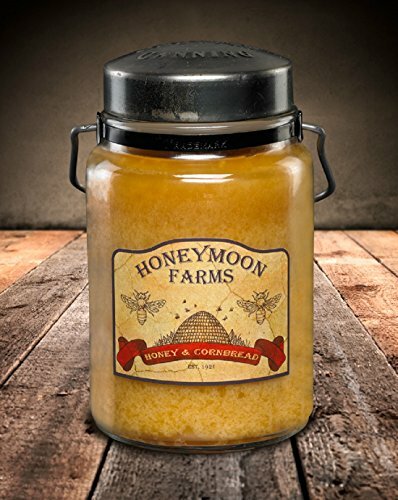 If you have any questions about this product by McCalls Candles, contact us by completing and submitting the form below. If you are looking for a specif part number, please include it with your message.